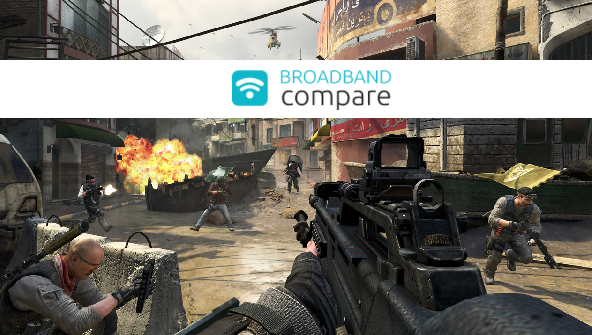 The best broadband plans for Gaming needs to deliver on different aspects to downloading and streaming. For all three of these practices you will want your broadband plan to have an unlimited data cap as large amounts of data are used when you carry out any of these undertakings. With the average Kiwi household now consuming over 173Gb of Data a month (Chorus Download Stats – October 2017) if your household is a big gaming household than you may need even more data than that, especially if there are a number of different devices. Important considerations for Gaming include speed but the most important differentiator is reducing latency or lag. Most broadband providers measure "speed" by bandwidth - the amount of data that your connection can upload or download at any one time. The most common fibre connection speed in New Zealand is a 100Mbs connection. This should be able to download 12.5 megabytes of data a second which means it offers plenty of bandwidth to streaming a film or download a large file in a small amount of time. But even with a high level of bandwidth, you may suffer from lag. What gamers need, more than just a high bandwidth connection, is a connection with low latency. Put simply, when playing a multi player game online you need the shortest amount of time possible for the game server to tell your console that that enemy just started shooting at you, and then that you have started shooting back… or died… if you have a poor gaming broadband connection. The Broadband Compare Awards in 2017 saw MyRepublic come out the winner of the Best Gaming Broadband Provider in NZ. Their plans and support are tailored towards the gaming audience so check out their plans here. For other gaming broadband options please see the pages below.